Yesterday, I had a proud parenting moment. One of my kids texted me the night before and said, “I got my book list. Can you help me find the best prices?” She’s been pretty good about renting and buying used and getting some on Amazon, but I hadn’t felt that we’d put forth our best effort yet. It’s a fine balance between being thrilled that your kids are self-sufficient enough to handle things on their own, and having a secret niggling that maybe, possible, there’s a cheaper way to do something. And we hadn’t looked for the cheapest possible options, so it was always sitting in the back of my head: What if there was a less expensive option? Now, one pitfall to the Chegg option was that they don’t always guarantee that their used books will include necessary access codes or DVDs or other supplemental material. Because of this, we decided to wait and actually order the books closer to the start of class, so we wouldn’t potentially run into trouble with the 21 day refund period. This way, she can see what comes with her book, compare it to her syllabus, and see if the book will work for her. Just three textbooks, and we’ve saved over $150 over the listed sales price. Plus, the convenience of just sending them back at the end of the year is valuable, as I have a stack of old textbooks in my bedroom that I need to sell back, and they’re getting less valuable by the day. 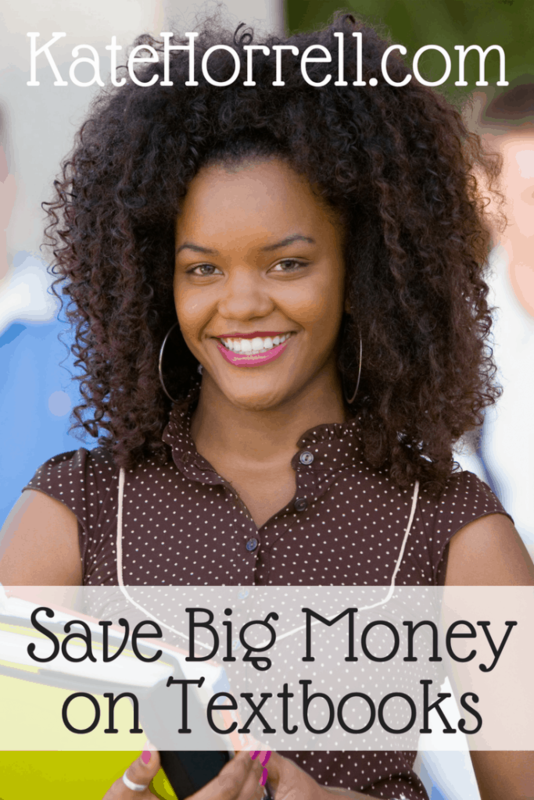 College is expensive – you’ve got to save money where you can, and books are an easy place to save!